While the history of rug-making can be dated as far back as 3,500 years ago, many of the styles popular today were conceptualized in the past few centuries. 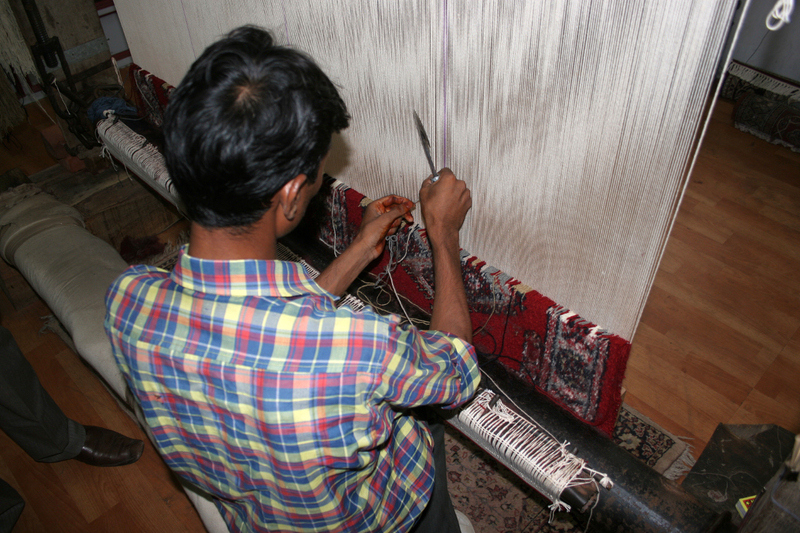 One of these, coming from an area known today as the city of Arak, goes by the name of the Mahal, or Sultanabad, rug. Arak is a bustling city of over 500,000 that contains some of the most fertile agricultural lands in the northwestern portion of the country of Iran. Its name has evolved a number of times in the city’s long history, having previously been called Sultanabad, and officially changing its name to Arak in 1938. Though the name of the rug itself is derived from Mahallat, which is a city tucked between Arak and Delijan, most rugs produced in the area will go by the Mahal distinction. However, they can also be called Sultanabad or Saroak rugs, depending on those involved in its production or sale. Rug crafting is one of the principal sources of income for the middle class inside and outside of the city, often representing the area’s unique cultural and color stylizing. They will commonly display aspects of tribal influence, building on floral curvilinear patterns knotted together to form large tapestries of ornate rug work. Their structure is known for having a softer build than other Persian rugs, manipulating a looser style of weaving and knotting in their production, making an ideal addition to areas of the home where a more lavish walking surface is desired. It does not, however, take away from its ability to withstand heavier foot traffic or as an ornamental room piece that attaches to the wall. The colorings often associated with Mahal rugs are deep reds, indigo blue and semi-muted khaki tones that are complimentary to most living and office spaces. Their combination is best represented through the elaborate design work of palmettes and vinescrolls that exhibit grand landscapes modeled after the flourishing area from whichever city they originate, often giving appreciators the impression of a stroll through a lush garden locale. Mahal rugs can be found with both Turkish and Persian knots that are arranged atop a mostly cotton warp, ensuring that they will remain intact for a significant time, and giving a proper backing to the dyed wool generally used for the visible portion of the rug. Of the names that are given above, the most high-end of this category are the Sultanabad rugs, which are commonly built with Westerners in mind, offering an even softer treatment to the wool and specifically designed to suit larger room areas. However, the same qualities can be found in any of the series and are a beautiful addition to any work or living space.